A recent trip to Zele Racing in southern Austria saw the installation of two more paddleshift systems on the highly successful Lola chassis. The first was the B99/50 of Luxembourg's Nic Brebson. 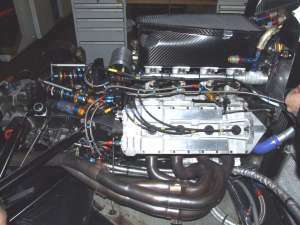 Nic's car has the older type 5 speed box, but shares the same Zytek KV engine of all Lola F3000's. Next up was the B02/50 of Slovenian Marjan Smrdelj. The 02/50's use the later 6 speed LT1A gearbox, of which we have considerable experience. We've now installed our shift system on more than fifteen Formula3000 cars! 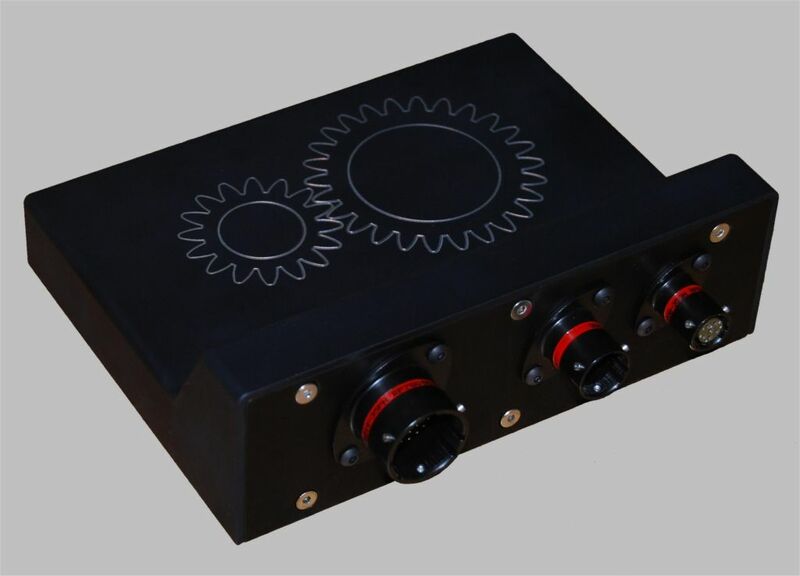 So, if you're the owner of a Lola F3000 or Formula Nippon car, or any other racing car for that matter, we would love to hear from you and introduce you to the very best in professional semi-automatic shift systems. 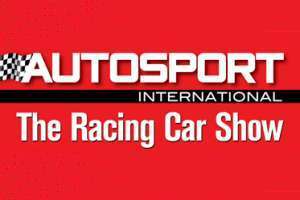 Once again, Geartronics will have a presence at the forthcoming Autosport International Exhibition. The world's premier motorsport trade exhibition takes place on 13th-16th January 2011 at the Birmingham NEC (UK). We will be present on the 'trade days' Thursday & Friday in hall 9. Come and see our interactive demonstrations at booth E355, where Neil Wallace will be on hand to answer any of your questions. 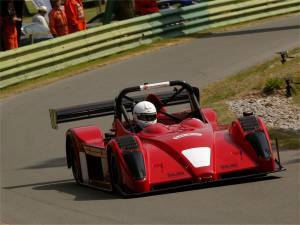 Martin Groves secures the 2010 British Hillclimb Championship. Martin Groves, 3-times former champion, has taken the top spot for a fourth time at the wheel of his Gould/Cosworth GR55. In the second runoff at Doune, Groves stopped the clocks over 1/2 second quicker than championship rival Scott Moran to take the title with two rounds remaining. In addition to his overall victory, he also set 3 new hill records along the way. Geartronics would like to congratulate Martin on his determined and hard-fought victory. British hillclimbing is all about ultimate speed & precision, and even 1/100 of a second can, and often does make the difference between winning or not. The reliability & consistency of the gear shift system is therefore paramount - one missed shift effectively means a blown run. That's why Martin chose the Geartronics paddleshift system above all others. Two years ago, paddleshift technology had not entered the highest level of the sport, and Geartronics were one of the first to introduce a system to the hills. All cars in the 'unlimited' class are now using pneumatically operated shift systems, almost all of which are supplied by Geartronics. 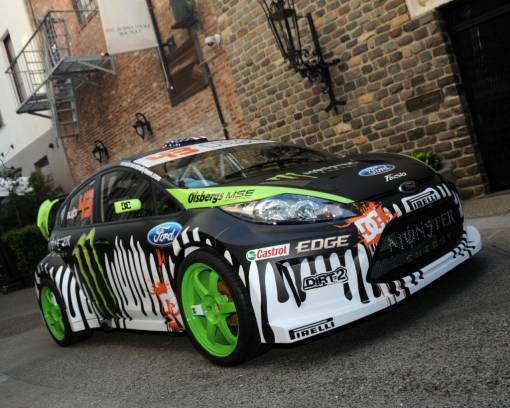 Ken Block releases latest "Gymkhana 3" video. Following on from what was the internet sensation of Gymkhana 2, Ken Block switched from the Subaru STi to a Ford Fiesta for his latest "Gymkhana 3" video. This is no ordinary Fiesta though. It has a 650bhp turbocharged engine driving all 4 wheels through a 6-speed Maktrak gearbox operated by a Geartronics paddleshift system. The car was built by top rallycross team Olsbergs MSE in Sweden, not necessarily to go as fast as possible, but to allow Block to perform stunts in his own inimitable style. It's perhaps not one of our most serious applications, but it does demonstrate that our paddleshift system is more than capable of providing top performance & reliability on some of the highest specification cars in the world. 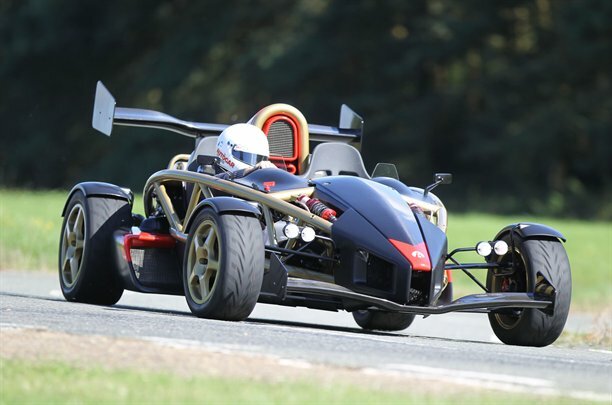 Specialist UK car manufacturer, Ariel Cars, has recently unveiled the long awaited Atom V8. The original Atom attracted much media praise when it was tested with the 300hp Honda supercharged engine, but the new V8 takes the Atom to a new level. The all-new 3 litre V8 is based on Suzuki Hayabusa bike technology, and delivers 475bhp at 10,600rpm. Gone is the standard H-pattern synchro gearbox of the old car, and in its place has been fitted a 6-speed Sadev sequential dog box with Geartronics pneumatic paddleshift. Autocar Magazine recently tested the V8 at Millbrook proving ground and commented that "First gear runs to over 60mph and upshifts are stupendously fast - there's no noticeable let-up in torque to the wheels; you'd swear it was a twin-clutch gearbox if you didn't know better." "Top Gear" magazine also tested the V8 Atom and commented on the "beautifully crafted carbon paddles" and that the "sequential gearbox is as rapid as anything on the road today, clutchless, shifting up and down the gears with a seamless, addictive smack that affords you the vital time to concentrate on the road ahead." We were fortunate enough to have experienced this car first-hand during a test session, and without using expletives or tired clichés, it's difficult to describe how this car accelerates and handles. 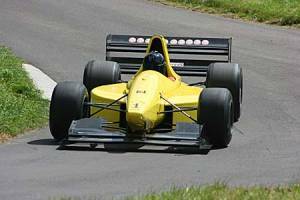 Only drivers who are used to high-powered single-seaters will be able to make any meaningful comparisons, but as a guide, the power to weight ratio is roughly the same as a current GP2 Dallara, or about twice that of an F3 car. Leading British Hillclimb contender & Geartronics customer, Martin Groves, took a step closer to the 2010 championship title at Prescott last weekend. Favourable conditions during Saturday practice saw some impressive times being posted by both Groves and his main championship rival Scott Moran, and another hill record was on the cards. However, the Sunday event was thrown wide open by frequent and heavy rain. This meant that the lower powered bike engine cars could take advantage of their wider "traction window", and the first Top12 run-off was actually won by the 1600 Hayabusa/Force of ex rally driver Eynon Price. Groves Could only manage 4th in the slippery conditions behind Geartronics customers Rob Turnbull (Gould GR55/Cosworth HB) and Trevor Willis (OMS/Powertec). Uncharacteristically, Moran failed to qualify in the tricky conditions. The second run-off of the day saw track conditions improving, but still remaining slippery under the trees. Yet again, Moran failed to qualify, handing Groves a golden opportunity. Having qualified in second position, Groves went before Willis (who qualified in 1st position) and set what looked like a winning time. However, a flying Willis, having seen what time he had to beat, went up the hill just over 1/5 of a second quicker to take the 10 points and FTD. Nevertheless, Groves took away 16 points from the meeting, thus extending his lead over the off-form Moran. The championship now heads for the penultimate meeting at Doune. Moran can still take the title, but with just 4 rounds remaining to catch Groves, the pressure is mounting. Mechanical intervension notwithstanding, the 2010 title looks like it's going down to the wire! The British Hillclimb Championship returned to the Channel Islands this month, and two outright hill records were set by Geartronics' customers Trevor Willis & Martin Groves. Trevor, in his Powertec OMS stopped the clocks at 37.88 seconds to set a new record for the Bouley Bay (Jersey) course, followed two days later by the Val des Terre (Guernsey) record falling to Martin Groves in his Gould GR55 with a time of 27.61 seconds. Willis then went on to prove it was no fluke by claiming both run-offs at the Wiscombe Park course, ahead of considerably more powerful machinery. Oliver Tomlin (another Geartronics customer) also took a well-earned 3rd place in the first run-off at Wiscombe. 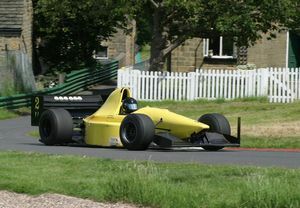 Martin Groves in his Gould GR55 sets a new Harewood Hillclimb record with a time of 49.13 seconds! The first runoff of the day saw him beat the previous record time (set by Scott Moran) by 0.06 seconds. Martin also went on to win the second runoff to go home with a maximum 21 points from the meeting. At the half way stage in the championship, Martin now leads by 3 points from Scott Moran in his similar Gould GR61X. No fewer than seven of the top12 cars in the first run-off at Harewood (including Martin) were using Geartronics paddleshift, proving once again that our system is the one chosen by winners! 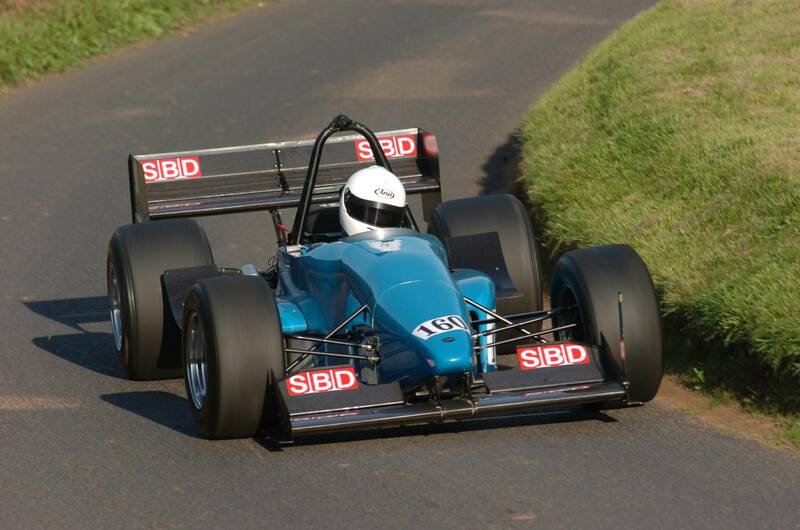 Congratulations to Simon Marsh for taking his ADR3 to a maiden class win at Prescott Hillclimb. 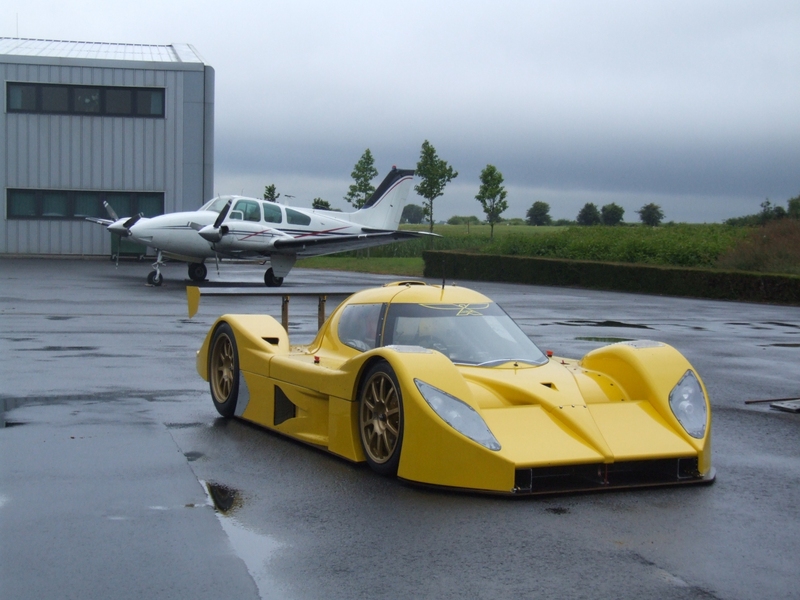 ADR built the car as a multi-dicipline machine so that it could compete in various forms of motorsport, including: hillclimbing, sprinting and circuit racing. 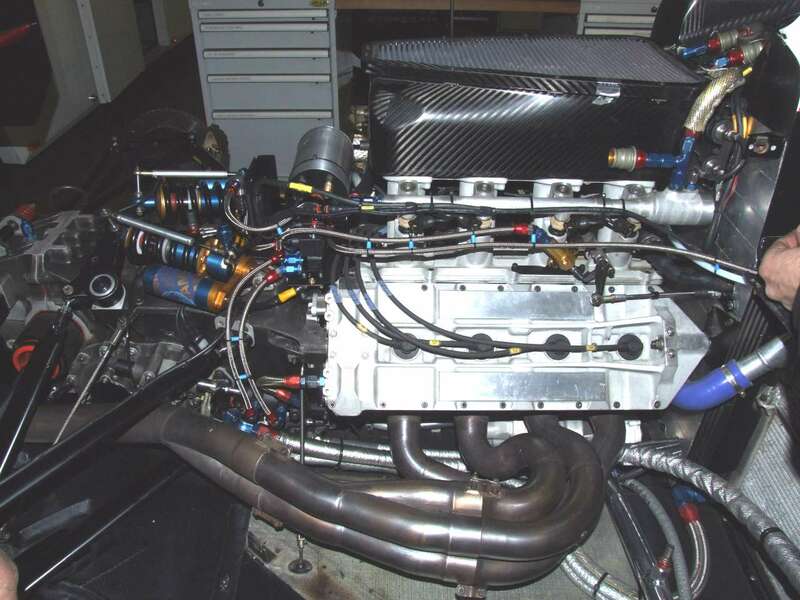 Simon's car is fitted with a Hayabusa engine (mounted longitudinally), and it's gearbox is operated by a Geartronics closed-loop semi-automatic shift system. We've been successfully fitting our closed-loop system to the 'Busa motor for several years. Others are now trying to follow, but despite their clever marketing names, they are quite simply years behind! Geartronics were the first to develop a modification to allow the use of a proper rotary position sensor on the gearbox selector drum. This rotary sensor is the cornerstone of any reliable shift system, as it allows our intelligent GCU to precisely measure the position of the dogs in the gearbox. So, if you want the very best in intelligent shift systems, then you need look no further! We are very pleased to announce that Geartronics have been chosen to supply the shift system for a new Britcar contender, in the form of an Aquila CR1 sportscar. 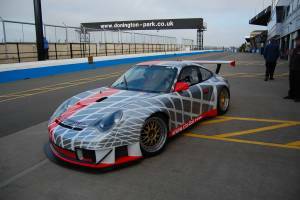 This fabulous looking car is sure to take the Britcar series by storm and is likely to break the dominance of the Moslers. The car is powered by a Chevvy LS7 engine under the control of a MoTeC M800 management system, driving through a Hewland NLT gearbox. An initial shakedown of the car proved very encouraging; the shift system working very well with the aid of the M800 DBW throttle blipping. Click on the image for a high-resolution version. There's been so much going on lately that it's difficult to know where to start, but first take a look at our updated gallery page where you can see some of our latest installations. Our main behind-the-scenes efforts this month have been concentrated on software development. Not content with already having the most sophisticated and reliable shift strategy on the market, we've been busy working on another new software update, and we're pleased to announce that version 40 is now available. This latest update includes an enhanced upshift strategy to ensure that all upshifts are performed as fast as possible without any time-consuming delays waiting for the current gear to disengage. We're confident that no other comparably priced (and some more expensive) systems on the market have such a strategy. Please note: our paddleshift software updates are available free of charge, but only to existing customers who have purchased the system. We're confident that we have many advanced features & strategies that are not available on rival systems, and we don't want them to see how it's done! We are pleased to announce that we are now in the position to offer a complete shift system for the Porsche GT3 RSR. The Porsche Motorsport (Holinger) gearbox responds very well to semi-auto operation, and we're confident that our shift system will not only increase performance, but will also significantly reduce gearbox wear. Getting the shift system to work in conjunction with the Porsche/Bosch ECU took more than a bit of thought, but the results are well worthwhile. Paddleshift system now available for Clubmans 'proto' series. Some time ago we were approached by Paul Gibson, a Clubmans Series competitor, with a view to fitting our paddleshift system to his Elite IL200 gearboxes. We were well aware that other suppliers had tried, but failed miserably in their attempts to get this box to work reliably with semi-auto operation. So, we said to Paul that we would like to get one of his gearboxes on the bench to conduct some tests. It very quickly became clear that the shift mechanism was totally unsuitable for paddleshift operation because of the design of the barrel detent. Not wishing to give up on the idea, we worked with both Paul and Elite Transmissions in order to come up with a solution. After taking our advice, Elite re-designed the mechanism to provide a much more positive detent. A new gearbox was duly delivered and the results were dramatic. A prototype actuator bracket was hastily made and we soon had our system reliably going up and down the box, with shift times in the order of 40-50ms. Hat's off to Elite for proving once again that they are up there with the best when it comes to customer service! Anyway, the result of the efforts were a race win first time out of the box! Not a bad achievement, considering that we had no time to track test prior to the race. Setup was limited to entering more or less default values into our GCU and running through the box several times with the wheels off the ground. Proof, if ever it were needed, that a closed-loop system is essential if you are to achieve reliable results. Even with default settings, our GCU was able to determine the critical timings on the fly, without having to resort to time consuming and potentially damaging setup procedures. Also this month, we would like to draw your attention to the quality of our wiring harnesses. Many suppliers in the motorsport electronics industry use the term "military specification" when describing their looms. 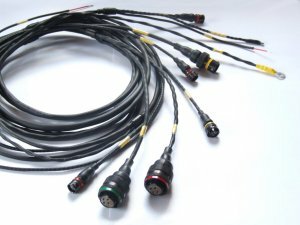 The term 'MIL-spec' actually has limited meaning unless accompanied by the actual specification number, for example: MIL-W-22759/32 (which incidentally is the airframe wire we use in our paddleshift harnesses). Although we use mainly military specification materials in the construction of our looms, we would never describe the finished product as military specification unless the entire loom was constructed using MIL-spec components and to MIL-spec procedures using calbrated tooling etc. All Geartronics supplied paddleshift looms use what are generally regarded to be the highest quality materials available, including Raycham spec55 wire, DR25 sleeving and moulded/glued Raychem joints. Our looms, as well as being light weight, will perform reliably at temperatures in excess of 150 deg C and under extreme levels of vibration. On high-end applications we also use Deutsch Autosport connectors for ultimate reliability. Launch of the new professional level GCU is getting closer. Software development of the next generation GCU is now well under way. The new hardware was successfully demonstrated at the recent Autosports exhibition, running the existing software. We are now concentrating our efforts on adding the CAN functionality, which will allow easier and more sophisticated communication with professional engine ECU's and data loggers. Building on the success of the original GCU, the new unit is aimed more towards the professional open-wheel and LMP sportscar market. It's also ideally suited to single make championships, of which we gained considerable experience during the 2008 Euroseries3000. We will of course still be offering the first generation unit to those customers who are working within tighter budgets. The new GCU features a 6x faster processor, increased data-logging capacity, 2 x CAN2.0B interfaces, a billet machined aluminium housing and the all-important Deutsch Autosport connectors for the ultimate in reliability. We also have spare input & output capacity that will allow the addition of clutch control and traction control at a later date. Thank you - the show was a great success! We would like to say a very big thank you to all who came to visit us at the Autosports Exhibition, and to apologise to those who couldn't get near the stand! We were acutely aware that many people wanted to come and speak to us, but we were so busy with enquiries that unfortunately not everyone got the chance.